Potatoes are the ultimate comfort food. Properly cooked in a pan, they're crisp and golden on the outside and creamy-smooth on the inside. 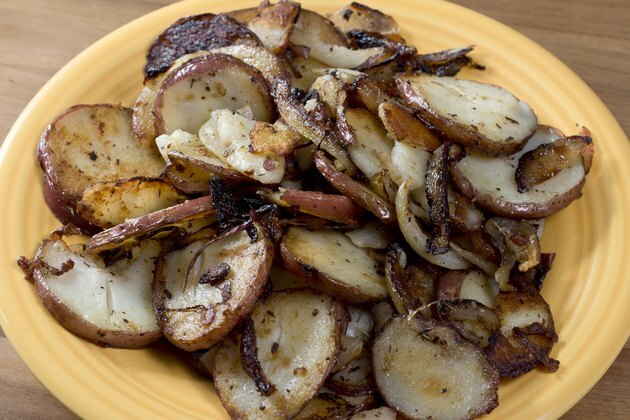 Although pan-fying is a natural choice for thin-sliced breakfast home fries, savory seasonings make these potatoes a perfect dinner side dish as well. Cook them in a well-seasoned, cast-iron skillet, if possible. 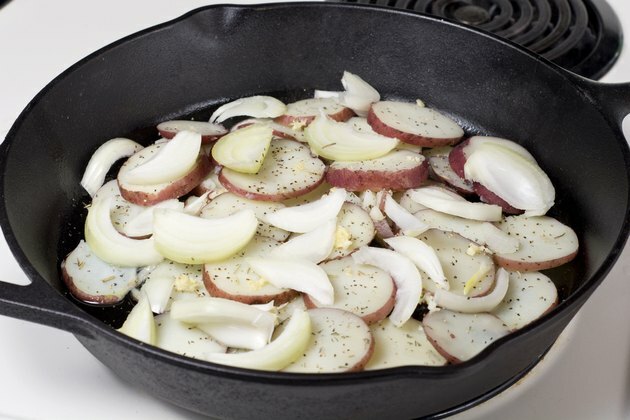 The iron conducts heat efficiently, and cast iron's heft keeps the potatoes from scorching. 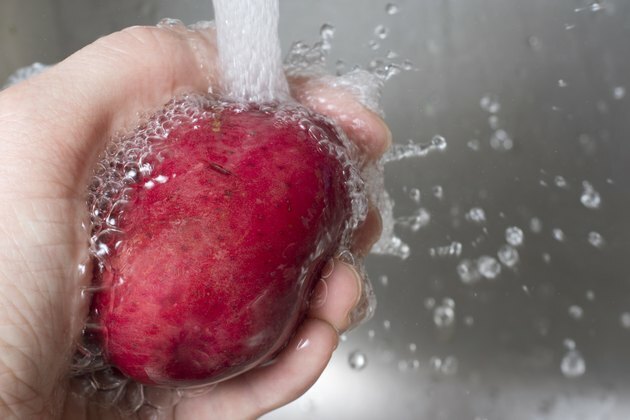 Wash the potatoes by scrubbing them well under hot running water. Peel the potatoes, if you wish. Slice them evenly, in whatever thickness you prefer. 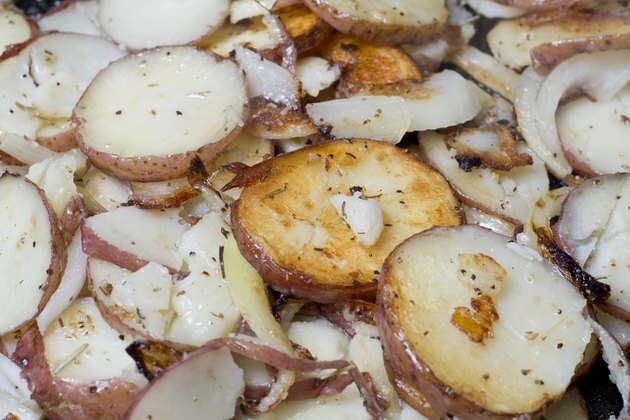 Boil enough salted water to cover the sliced potatoes. 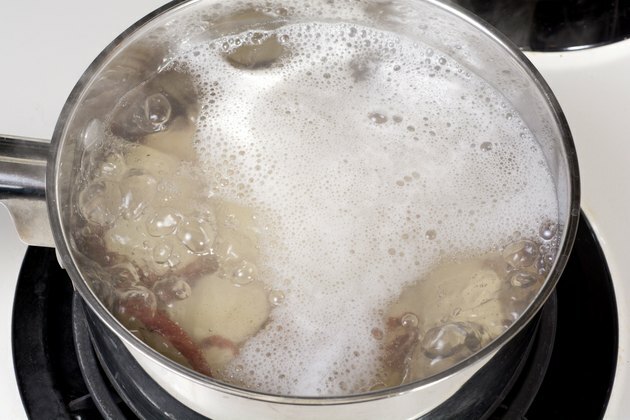 Add the potatoes to the boiling water and cook for 5 to 10 minutes, or until they're barely cooked through. Drain the potatoes into a colander. Move them gently, using a "spider" tool or slotted spoon, to avoid breaking the slices. 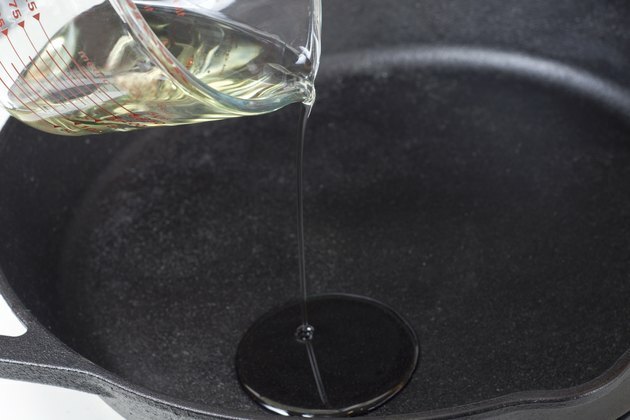 Heat about 1/4 cup of vegetable or canola oil in a heavy skillet over medium-high heat. Add the potato slices to the hot pan. Spread them out so as much of the slices' surface as possible touches the bottom of the pan. Season the potatoes to taste. Cooked the potatoes until the bottom layer begins to brown. Then, toss the slices gently with a spatula. Continue to turn them periodically, so that each slices browns. 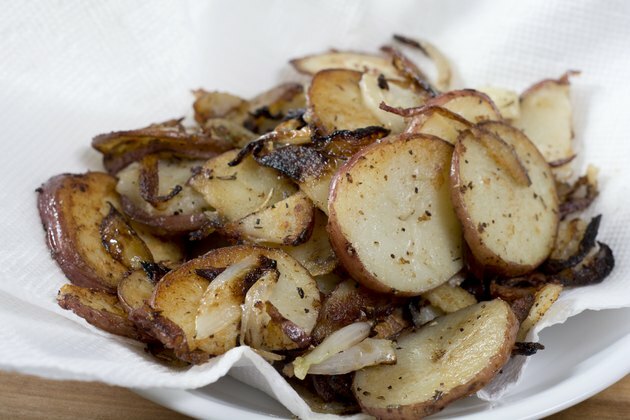 Remove the browned potatoes from the pan and drain on paper towels to blot up excess oil. 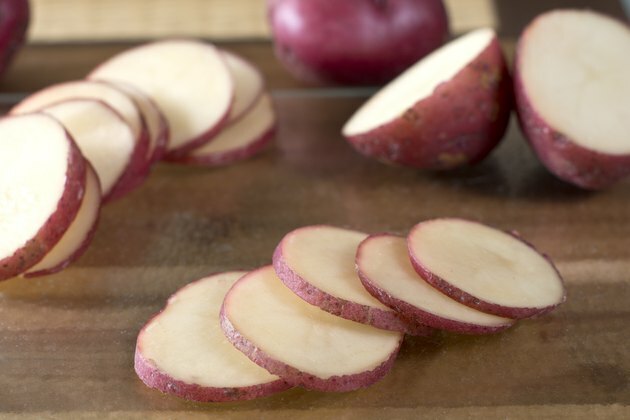 The relatively low starch content of red and gold potatoes helps them crisp. 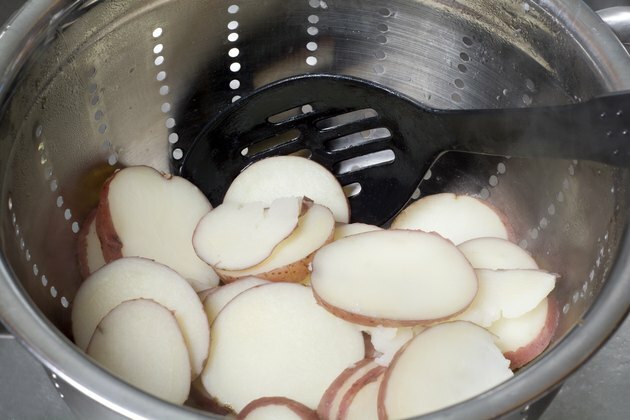 As an alternative to boiling the potatoes before you fry them, soak the slices in cold water for 5 to 10 minutes to remove some of the starch, then drain and pat dry before adding them to the hot pan. You can substitute olive oil for vegetable or canola, but avoid overheating it. Some olive oils have relatively slow smoking temperatures, so they catch fire at lower temperatures as well. Substitute butter for some of the cooking oil for a buttery flavor. Alternatively, melt some butter into the potatoes just before you remove them from the stove. Add sliced bell pepper, onion and/or garlic to the pan with the potatoes. You can also add diced ham or other cooked meats.